haha. way to one up the chanel pedal bike i saw two years ago with a 2.55 bag in the front as a basket. 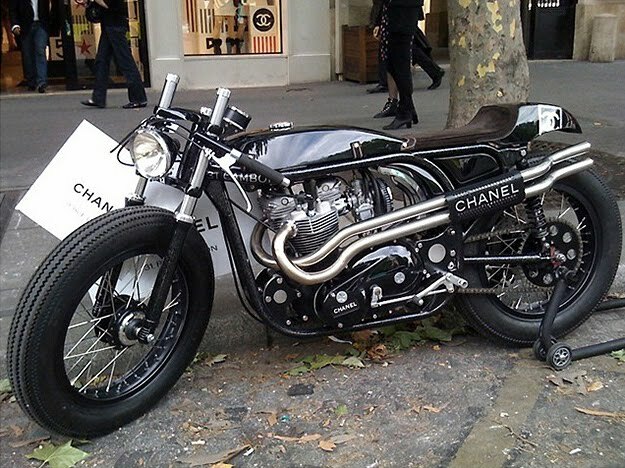 Haha, so much better than the Chanel bicycle! I just had an image of your face when you first saw this photo flash though my mind: neck strained forward, eyes open wide and drool hanging out one side of mouth. Not very flattering but it made me laugh. I could definitely see you riding it! for the bikie who has everything.